Enterprise Recourse Planning software, or ERP ,doesn’t live up to its ACRONYM. Forget about planning – it doesn’t do much of that – and forget about resource, a throwaway term. But remember the ENTERPRISE part. Enterprise Recourse Planning software, or ERP ,doesn’t live up to its ACRONYM. Forget about planning – it doesn’t do much of that – and forget about resource, a throwaway term. But remember the ENTERPRISE part. This is ERP’s true ambition. It attempts to integrate all departments and functions across a company onto a single computer system that can serve all those different departments’ particular needs. 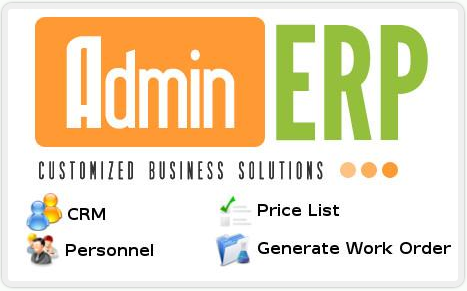 Our Admin ERP Module Solution caters exactly for this. By being able to integrate with all Legacy systems across the board. This has been our biggest success story yet. The ability to communicate with other software – Pastel, Java to name a few.